I’ve heard many women in IT talking about how amazing the Grace Hopper conference is, and I was so excited when I was selected to attend this year’s conference in Orlando. All of the major technology companies would be there, the keynote speakers sounded so impressive, and there were tons of workshops to choose from. I’ve been at Vanguard for a long time, and I know how careful we are about choosing the most influential learning opportunities. 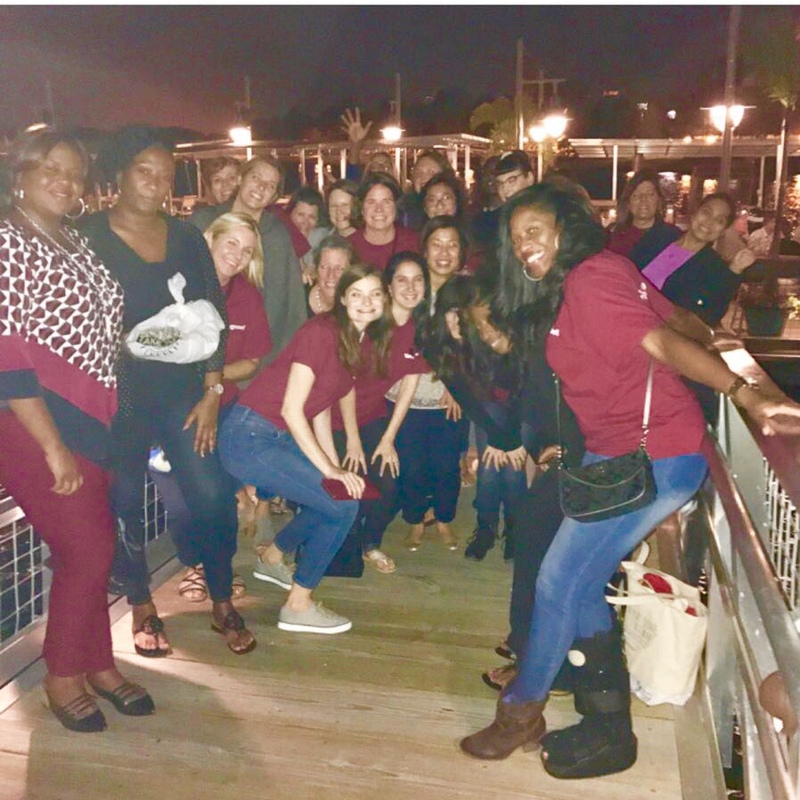 I started connecting with the other women at Vanguard who were selected to go; we planned our travel arrangements together and looked over the workshops. I was impressed to see that on the very first morning there were 5 keynote speakers — from Melinda Gates to professors at Stanford and Harvard, to the inventor of VMWare, Diane Greene, to Dr. Sue Black CEO from the UK who started #techmums. Wednesday morning, I headed over to the convention center from my hotel, and was absolutely amazed. There were thousands of women of all ages wearing t-shirts that aim to inspire women in technology careers. “Connect Your Passion”, “Moms Can Code”, “Strong Diverse Amazon”, “Lesbians Who Tech” were some that I noticed. As I went towards registration, standing among 18,000 women, I felt a connection of sisterhood. All these women had broken barriers in some way, sat through years of schooling, and hundreds of hours of meetings as ‘the only’ and here we all were, together for three days of fun, encouragement, and career development. Throughout the three days, I heard from brilliant, creative women who had used their passion to solve world problems and develop technology that made a difference in the lives of thousands. Speakers discussed topics such as, using data mining to solve city problems, how bias can get into machine learning, and how artificial intelligences from drones can increase crop production. I met women who helped make Microsoft products accessible for every disability, the CEO of Goldiblox who developed engineering type toys that encouraged girls to think of engineering as an outlet for their creativity, and women who were helping Pinterest determine algorithm differences needed to attract women vs men. There were speakers on influence and persuasion, using your seat at the table, and unconscious bias. The Vanguard attendees had the opportunity to meet with some prospective crew at our recruiting booth who had interests in possibly working at Vanguard. 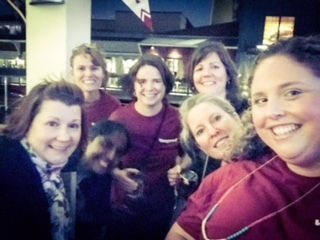 We were one of the only booths to have all female recruiters, many of whom were in IT jobs. We met for lunch to compare notes on our favorite sessions and spent hours discussing what we had learned. Some of my colleagues were from Charlotte, and some from other departments and teams across the company I had never worked with before. There are always new people to meet! My main takeaway was from Dr. Sue Black. She started #techmums after putting herself through school as a lower-income, single mom of three kids. She said that if each of us help a mother learn to love computer science, over 30,000 lives would be affected because every mother’s gain represents the gain of at least two people in the world, herself and her child. I left feeling proud of what Vanguard does for all the women who work here – just like the speakers at Grace Hopper, they too are brilliant, creative women who use their passion to solve world problems and make a difference every day. If you’re seeking an environment where you can make a difference and develop professionally, check out our career opportunities at www.vanguardjobs.com. So you’ve been declined – now what? It is an important objective of Vanguard to provide for all crew members a working environment that is free from discrimination, prejudice, and bias. persons without regard to race, color, national origin, religion, gender, sexual orientation, gender identity or expression, age, or disability. In addition, Vanguard prohibits discrimination based on genetic information. © 1995–2019 The Vanguard Group, Inc. All rights reserved. Your use of this site signifies that you accept our terms and conditions of use.